Bangalore (India) : The promoters of Mindtree have said that they would unconditionally oppose the reported hostile takeover bid by Larsen and Toubro Ltd. In a joint statement issued by the promoters, including Executive Chairman Krishnakumar Natarajan (executive chairman), Co-Founder Subroto Bagchi, CEO Rostow Ravanan and executive vice chairman and COO Parthasarathy N.S. have condemned and unconditionally opposed the reported hostile takeover bid by Larsen and Toubro Ltd.
“The attempted hostile takeover bid of Mindtree by Larsen & Toubro is a grave threat to the unique organization we have collectively built over 20 years. Since we started the company in 1999, we have built a rock-solid organization that outperforms its peers in IT services, differentiates and innovates through digital, and consistently delivers strong financial results and favourable returns to our shareholders. 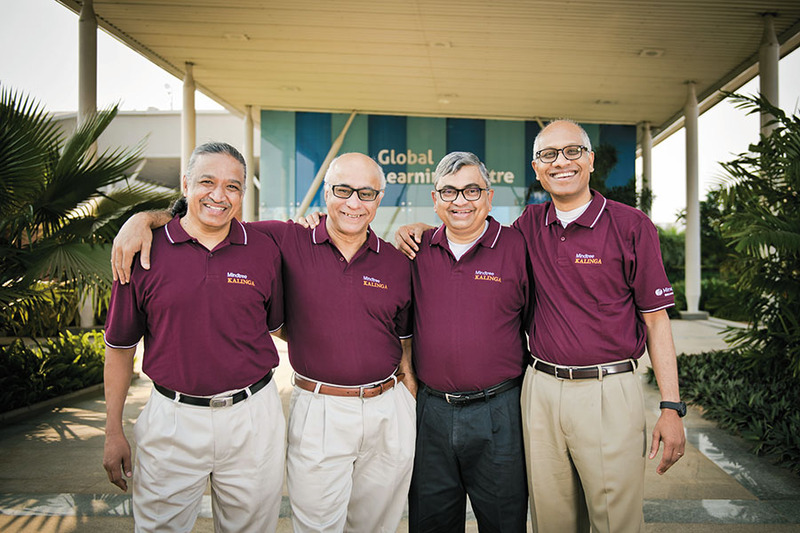 We’ve also carefully created a differentiated corporate culture made up of our amazing “Mindtree Minds,” which reached the 20,000 milestone this year. A hostile takeover by Larsen & Toubro, unprecedented in our industry, could undo all of the progress we’ve made and immensely set our organization back. We don’t see any strategic advantage in the transaction and strongly believe that the transaction will be value destructive for all shareholders. Our collective success depends on building and nurturing relationships with our clients and partners. This unexplainable transaction will bring disruption to those relationships and impair Mindtree’s ability to differentiate itself in the market and continue to deliver client value and great shareholder return. We believe that culture needs to be carefully created and nurtured over time, and can’t be bought and sold like any asset” the statement said. “We remain 100 percent committed to our long-term vision of building an independent company. We believe it’s in the best interests of our shareholders, Mindtree Minds, and our organization overall to continue opposing this takeover attempt. In addition, there has been a large outpouring of sentiment from Mindtree Minds online at #MindtreeMatters expressing their strong desire to retain our culture and our independence. In the meantime, while this situation unfolds, Mindtree will continue to be laser-focused on continuing the stellar work for our clients and delivering great value to them” it added.